Abortion is really Pro-God or Pro-Self . The Videos concerning Planned Parenthood have allowed the Discussion of Abortion to be brought back up.. it always seems it is mentioned around election time but dropped soon after the candidate says where they stand without further discussion. Seems 1973 was a lifetime ago when a vote of 7-2 changed the course of American history. A 3 vote swing the other direction would have put a different stamp on what America looks like. At the least, who knows what the millions of lives that never had a chance to live could have accomplished. The discussion of Pro-Life v. Pro-Choice seems very political and almost simple in that it is easy for people to state their side and be done. The real issue is, “Are you Pro-GOD or not?” A simple question would be, if you believe in God, “How can you purposely end a life that God creates?” Abortion is about ending a life, it does not matter if the baby can live outside of the mother or has a heart that beats on its own yet. The life is a creation of GOD, not an animal but a human being creation. It is time to have the discussion again. I will be glad to discuss with any politician, candidate, neighbor, anyone on why Abortion is against God. If you don’t believe in GOD, not much to talk about. The majority of Americans claim they believe GOD. True belief in our Creator is not when it is convenient, or only if it does not cause financial hardship or a life change to a person. If you are PRO-GOD then Abortion would not even be a question. 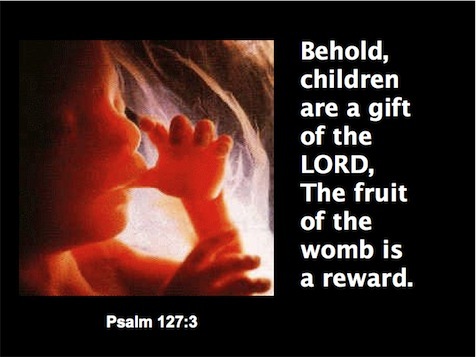 God Creates Life, a person should not be the one who determines if God’s creation should be stopped. So the Labels should really be Pro-GOD or Pro-Self.